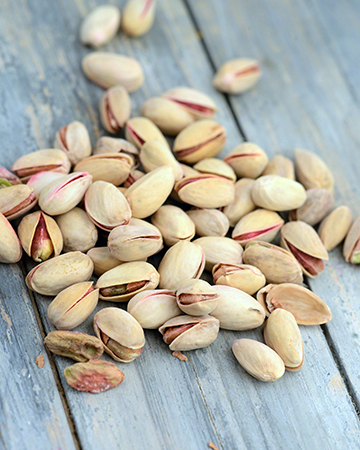 Today, pistachios remain one of the most popular nuts for people of all ages. Pistachios or Green almonds as they are sometimes called are popular because of their small size, green colour and easy to open shells.The kernels inside the shells are a greenish tan. Pistachios are typically sold with the shells partly open and the kernels peeking out, making the task of separating the kernels from their shells easy.Pistachios are an excellent and rich tasting nut. They are available in Large, Medium and small sizes. Hence, one can purchase as per one's need or occasion.